I am unashamed of my love for young adult books; some of my favourites over the last few years are from this genre, including the Hunger Games series, The Divergent series, and The Red Queen series. I still don’t feel grown up enough to read proper books; I just can’t bring myself to read anything too hard hitting or political. I like my books to challenge me in guessing “who done it”, or hoping the protagonist thrives. I’ve yet to cross the threshold into books that question my beliefs and views of the world; and honestly, I don’t know if I ever will be ready to bridge that gap. I like to escape for a few hours into a world of make believe. I recently read two books that were on the cusp of if not changing my perception, made me question stereotypes. Both the novels were about domestic abuse, both physical and mental. When I first started reading the books, I couldn’t understand why the partner being abused wasn’t standing up for them-self; and how is nobody else seeing what is going on?! I found it incredibly frustrating as reader knowing what was going on, and being helpless to change it….is this what a grown up book is meant to feel like?! As the books progressed, I could myself becoming more and more anxious, and at one point, at 2 IN THE MORNING (! ), I swear I had chest pains whilst reading the last few chapters. It seems like the perfect marriage, but the psychological and physical abuse ramps up the tension. I felt incredibly helpless reading this and was willing for it to be okay, for an outsider to notice what was occurring. As is so often the case in “real life” we’ve become so obsessed with keeping up appearances, it’s difficult to register what’s real and what’s being played out. This book was so intense I couldn’t wait to finish it! Like Behind Closed Doors, this is a disturbing insight into domestic abuse. 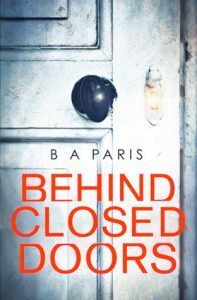 Perhaps a little more realistic in its setting compared with Behind Closed Doors, it made it all the more compelling, and has a twist I did not see coming, I had to reread the last couple of chapters a couple of times to make sure I had read it correctly! 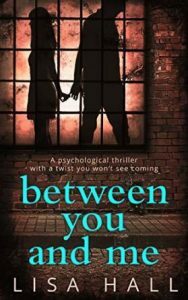 Whilst I enjoyed my foray into a more challenging genre of novel, and it did get me questioning my perspective, I was just so anxious reading these books, it physically hurt. I want the stories I read, to be that: stories. I want to be transported to faraway places, where goodness and love conquers all, and the heroes and heroines are victorious, and the villains get their just desserts; perhaps it’s because I hope that the real world can be like this someday….